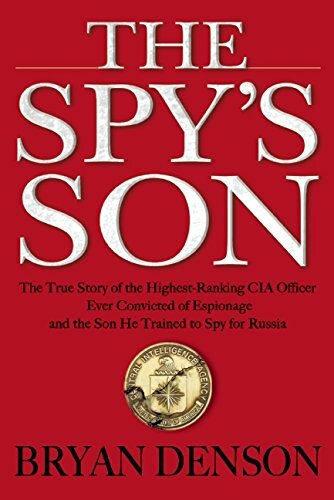 Bryan Denson, author of The Spy's Son: The True Story of the Highest-Ranking CIA Officer Ever Convicted of Espionage and the Son He Trained to Spy for Russia, offers a piece about the former CIA officer, traitor and spy in the Irish Times. The FBI and CIA had begun to suspect Nicholson of spying for Russia in the mid-1990s. So those in charge of the joint spy catching operation engineered a plan to get him reassigned from The Farm (the agency’s covert training center, where he taught tradecraft to young spies) to his new position at CIA headquarters so they could keep an eye on him. The FBI secretly installed a tiny surveillance camera above Nicholson’s desk, bugged his home, searched his office and minivan, and tailed him night and day. Their target and his subordinates performed authentic work to identify and defeat foreign terrorist cells. But Nicholson’s hand-picked deputy - CIA officer John Maguire, a veteran counterterrorism operative - secretly served as the eyes and ears of the covert spy catching venture. Maguire reported his boss’s every move to FBI investigators to help them take down the agency’s latest Judas. Perhaps Johnny Walker et al can share a cell with this creep! This reminds me that I ought to revisit John Le Carre's novels, but I must at the same time remember that truth is stranger and more frightening than fiction. Your offering today reminds me of that stomach-churning reality. And to think that I was as a CT scared to death that I would inadvertently mention something classified to someone that would then send me to the brig. Damn, I was paranoid! As one who did security work for the military for many years, beginning when I was a 17-year-old in the Navy, I prefer to say security-conscious rather than parnoid. Thanks for aggregating the reviews, Paul, and letting folks know about the work. It took several years to get to the soul of the story, and I'm pleased it has reached so many people. Cheers! You're more than welcome, Mr. Denson. Your publisher sent me a copy of your book and as soon as I've read it, I'll contact your publicist and request an interview with you. I'd like to publish a long-form Q & A with you in The Journal of Counterterrorism & Homeland Security International, where I'm a contributing editor.